Healio Health is offering free shipping all winter long for any orders over $75. Offer excludes HI, AK, and international orders. Portable Ramps has a self adjusting bottom transition plate which allows smoother ground to ramp transfer and provides greater flexibility at various ramp angles. This portable ramp is made of aircraft-quality aluminum. The Aluminium ramp is designed for scooters and wheelchairs. 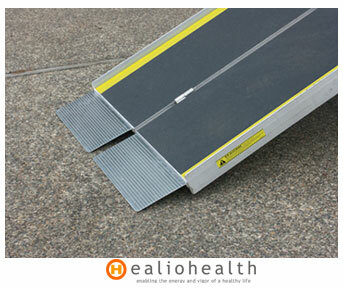 Suitcase Ramp has an applied high-traction slip-resistant tape with a yellow reflective strip on ramp edges. We have a wide variety of carefully selected health and beauty products, many of which we test ourselves. Products such as, Tens Units, Muscle Stimulators, Magnet Therapy, Heating Pads, Diabetic Shoes, Back Massagers, lasers, and skincare to name a few. 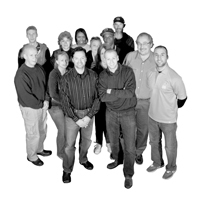 Our goal is to deliver innovative and quality products, at unbeatable prices, and with impeccable customer service. © 2019 Healio Health, INC. ALL RIGHTS RESERVED.